A FITNESS instructor is in training with four friends to take on the 22-mile swim across the English Channel, raising funds for an animal sanctuary. Kat Baker, who works as a fitness instructor at Frome Leisure Centre, will take on the Channel between the 21st and 28th of September, with the start date dependent on the weather. 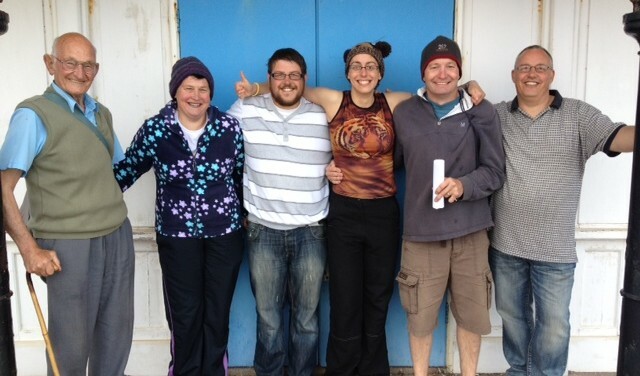 She will be joined by Darren Haytler, Liz Collins, Andy Jarvis and Steve Payne, who will swim in one-hour shifts from Dover to Cap Gris Nez in France. The team is raising funds for Holly Hedge Animal Rescue Sanctuary in Bristol. Kat estimates that the swim will take around 15 hours. She said, “I have always been a competitive swimming pool swimmer, right from childhood. The team are keen swimmers and it could be quite tough. “I was supposed to swim the Channel last year, solo, but the weather prevented that from happening.